See also here for a different fish but with similar moulding & applied colour. Its not the same, but i think its closer than some. Maybe another french maker? 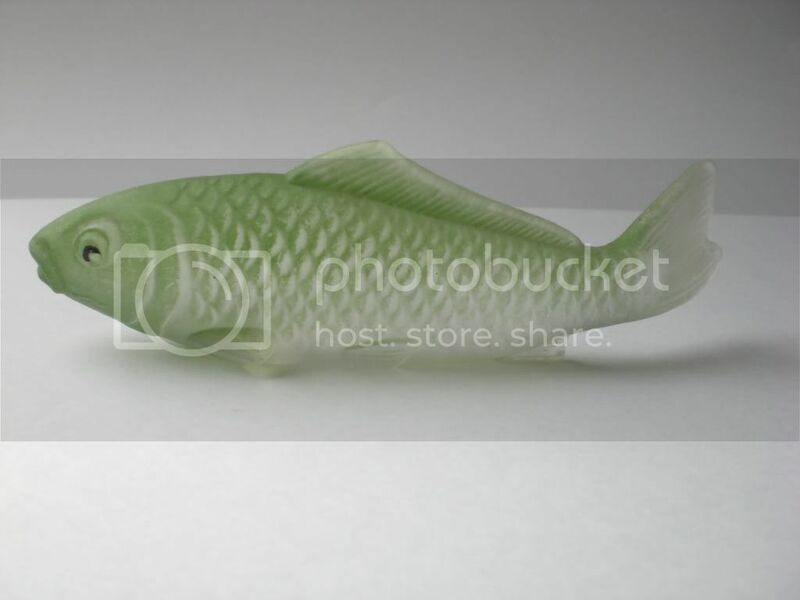 The detail on the fishy in question just does not seem to be up to Lalique standards. It has that big mold line running down the entire length of it's back. I just can't envision Lalique putting out a product that has that apparent of mold work on it. just my 2c. ugly looking brutes on there! At least these ones are lifelike,and i think , pretty early 20thC in date. 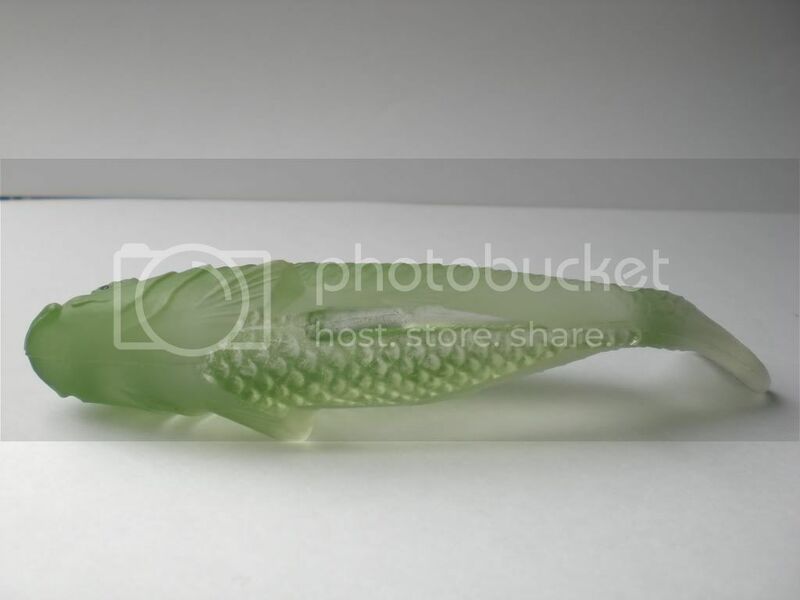 Here are two photos of a fish I bought at the Cambridge Glass Fair a couple of years ago. Does anyone have any idea who might have made it? I have shown a picture of the base which is polished with no marks. Frank let me know if you would like me to email photos to you. Page created in 0.962 seconds with 23 queries.